KC Brains California Special® Feminized is an indica dominated marijuana cross of an Original California and a Skunk, both known for their highest narcotic qualities. K.C. Brains cannabis seed breeders accommodated Original California’s abilities to be an easiest to grow and, yet, to produce great yields, as well as Skunk’s genes to grow nearly everywhere, in one new marijuana strain. Together with the unique smell and smoke, it definitely puts her on top in international cannabis markets. Being mostly indica, California Special® Feminized seeds produce slightly bushy marijuana plants with light green narrow leaves around a thin and sturdy stem. The leave to bud ratio is so well balanced that her buds have enough space and light to fully develop. This cannabis variety performs well indoors and outdoors, in pots or soil. Flowering period for the plants growing indoors is 7-10 weeks, whilst outdoor time is from the end of September to mid October. 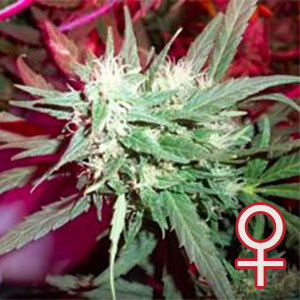 Wherever you decide to place California Special® Feminized, a great yield is guaranteed – 130 gr. per plant indoors and up to 700 gr. when grown outdoors. She won’t stretch longer that 130 cm in your indoor marijuana gardens, and can jump up to 3 m high in your outdoor once. 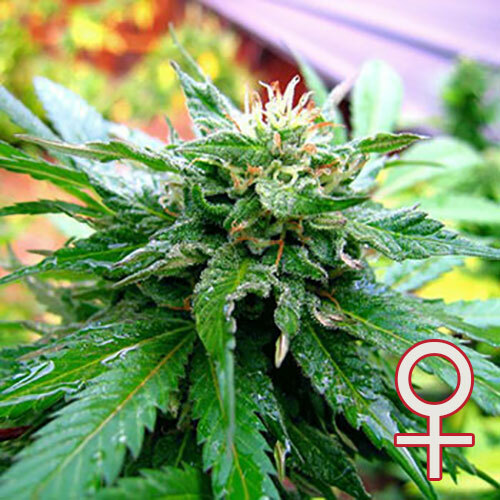 This is a versatile cannabis plant which performs well under all conditions. She is vigorous, disease resistant, and potent. Another harvest festival winner, she is very resinous, with resin extending almost to the end of the large fan leaves. The more heavily branched specimens tend to be the big yielder. As a typical indica, California Special® Feminized contains higher amount of CBDs than THCs in flowers which means heavier, sleepy effect, ideal for total body and mind relax and pain relief. Together with a very interesting smell and taste, a well balanced blend of a sweet orange and a skunky hash.